Put it inside on your garrysmod folder =). NOTE : REQUIRES HOLO MODEL ANY ON! 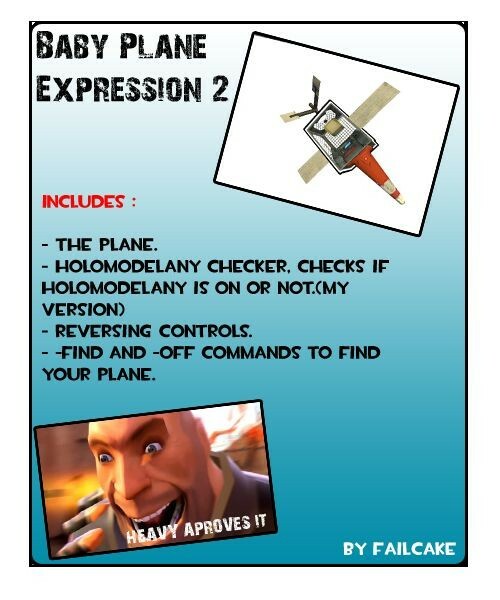 Failcake Baby Plane <-- Addon folder!